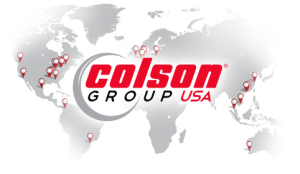 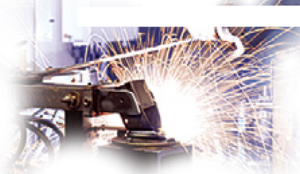 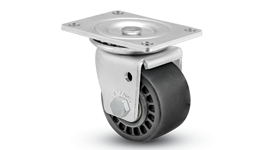 Solid Urethane construction provides excellent floor protection and durability. 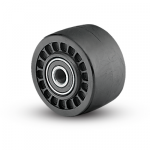 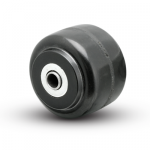 The Urethane helps absorb shocks and provide quieter mobility. 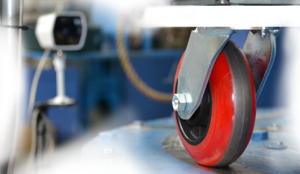 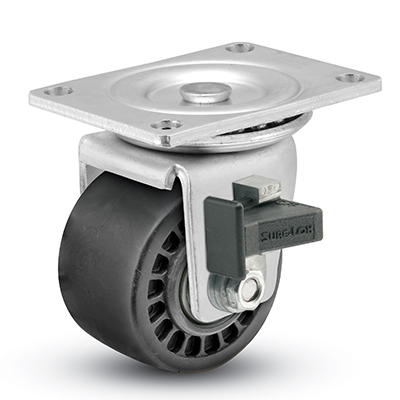 The Sure-Lok Brake (pictured left) is available on 3″ swivel and rigid glass-filled nylon and urethane models (swivel radius is 2-5/8″). The Sure-Lok Brake is a revolutionary new mechanical brake design that easily engages with the single push of a finger, securely locking the wheel in its place. 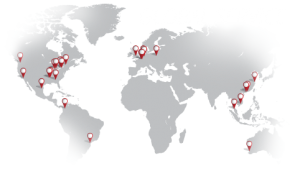 Don’t spend unnecessary time and effort tightening down a thumb-screw brake again; order your next business machine casters with Sure-Lok Brakes. 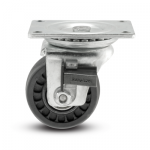 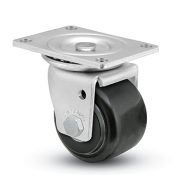 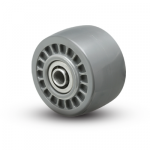 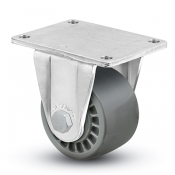 A Thumb Screw Brake (not pictured) is also available on 3″ swivel models (swivel radius is 2-7/16″).